Franking Labels can now provide you with the latest Royal Mail postage rates 2019 that are effective starting from today. As of today, 25th March 2019, all franking machines in the UK will have to start using the latest Royal Mail 2019 postage rates. If your company have not updated your franking machine or postal scales then please contact your franking machine supplier immediately as the new Royal Mail 2019 rates should now be installed on your franking machine. Starting from the 25th March 2019 franking machines in the UK (both Mailmark and standard machines) can benefit from the new rates. Franking Labels can confirm the following changes to the 2019 rates. Top up your franking machine supplies today with low cost franking labels. View our range of franking labels here. Franking Labels can now provide you with the latest Royal Mail postage rates 2019 / 2020. As of the 25th March 2019 all franking machines in the UK will have to start using the latest postage rates. The Royal Mail have announced the postage rates 2019 / 2020 and it once again sees franking machine users and Mailmark franking machine users benefit from lower franking prices. Postage Rates 2019 / 2020 Announced! From the 25th March 2019 franking machines (both Mailmark and standard machines) can benefit from the new rates. Franking Labels can confirm the following changes to the 25th March 2019 rates. Using a Mailmark franking machine will save you more money in 2019 compared to standard franking and stamps! View the table below to view the Royal Mail first class postage rates 2019 / 2020. Compare stamp, frank and Mailmark prices. View the table below to view the Royal Mail second class postage rates 2019 / 2020. Compare stamp, frank and Mailmark prices. Download our Postage Rates 2019 / 2020 PDF to view the prices a little more clearer. The Neopost IN700 franking machine is a high volume franking machine that is manufactured and supplied by Neopost, one of Europe’s leading franking machine manufacturers. It is a replacement model to the IS460 & IS480 machines. As a high volume franking machine the IN700 can process mail much faster and it can handle more mail per day. The Neopost IN700 franking machine can frank mail onto any mail item up to 16mm thick. Any items that are thicker can still be franked, but with Neopost IN700 franking machine labels. This will allow users to benefit from and use all Mailmark franking prices, saving more money per day with the IN700. A range of helpful features can be used with the IN700 postage meter and this will help any business. A colour touch screen will aid all through the franking process, an integrated weighing scale will ensure accurate payments always occur and job memories will allow jobs to be set up quicker. As well as this, the Neopost IN700 franking machine comes with the latest franking technologies. Mailmark and Smart Meter technology are both a standard feature with the IN700. Mailmark gives Neopost IN700 users access to much lower franking prices and it offers a new 2D barcode when franking. Smart Meter however gives Neopost IN700 users access to all VAT applicable services and whilst using improved smart blue franking ink when franking. View more key details about the Neopost IN700 franking machine below. Get low cost franking labels here and see if we can supply your business. The Neopost IN600 franking machine is a mid volume franking machine that is manufactured and supplied by Neopost, one of Europe’s leading franking machine manufacturers. It is a replacement model to the IS420 & IS440 machines. As a mid volume franking machine the IN600 can process mail faster and it can handle slightly more mail per day – up to 500 based on our experience. The Neopost IN600 franking machine can frank mail onto any mail item up to 12mm thick. Any items that are thicker can still be franked, but with Neopost IN600 franking machine labels. This will allow users to benefit from and use all Mailmark franking prices, saving more money per day with the IN600. Its semi-automatic feeder can frank mail at two different speeds. Up to 110 letters can be franked per minute if required, with 70 letters per minute also possible based on certain features. Ensure mail always gets out the door on time and never miss pay for an item again. As well as this, the Neopost IN600 franking machine comes with the latest franking technologies. Mailmark and Smart Meter technology are both a standard feature with the IN600. Mailmark gives Neopost IN600 users access to much lower franking prices and it offers a new 2D barcode when franking. Smart Meter however gives Neopost IN600 users access to all VAT applicable services and whilst using improved smart blue franking ink when franking. View more key details about the Neopost IN600 franking machine below. The Neopost IN360 franking machine is a low volume franking machine that is manufactured and supplied by Neopost, one of Europe’s leading franking machine manufacturers. It is a replacement model to the non-Mailmark IS330 & IS350 machines. As a low volume franking machine the IN360 can process mail at slower franking speeds reaching up to 45 letters per minute. The Neopost IN360 franking machine can frank mail onto any mail item up to 10mm thick. Any items that are thicker can still be franked, but with Neopost IN360 franking machine labels. This will allow users to benefit from and use all Mailmark franking prices, saving more money per day with the IN360. Up to 10 advertisements can be stored on the IN360 franking machine and these can be used to expand the business name. As many as 9 commonly used jobs can be stored as well as up to 100 departmental accounts. All of these features can be accessed via the IN360’s one touch buttons and easy to use display screen. As well as this, the Neopost IN360 franking machine comes with the latest franking technologies. Mailmark and Smart Meter technology are both a standard feature with the IN360. Mailmark gives IN360 users access to much lower franking prices and it offers a new 2D barcode when franking. Smart Meter however gives IN360 users access to all VAT applicable services and whilst using improved smart blue franking ink when franking. View more key details about the Neopost IN360 franking machine below. The Pitney Bowes Connect+ 500W franking machine is a mid volume franking machine that is manufactured and supplied by Pitney Bowes, the world’s leading franking machine manufacturers. 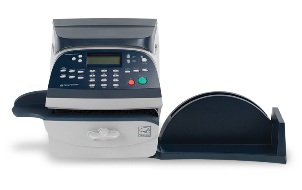 As a mid volume franking machine the Connect+ 500W can process mail at faster speeds of 120 letters per minute and it comes with a huge array of features. The Pitney Bowes Connect+ 500W franking machine can frank onto any mail items up to 16mm thick with ease. Any parcels or packets that are thicker can still be franked, but with Connect+ 500W franking machine labels or label rolls. This will allow users to access and use all of the latest franking prices, saving more money per day. This is a new model from Pitney Bowes and it possesses some very beneficial features. An integrated weighing scale will ensure accurate payment always occurs, franking a company logo can expand your business name and departmental accounts allows your business to keep on top of all postage expenditure. As well as this, the Connect+ 500W postage machine comes with the latest franking technologies. Mailmark and Smart Meter technology are both a standard feature with the Connect+ 500W as well as Weigh-on-the-Way technology. Mailmark gives Connect+ 500W users access to lower franking prices and a new way of franking. Smart Meter gives Connect+ 500W users access to all VAT applicable services and the ability to frank mail in smart blue ink. Weigh-on-the-Way is a Pitney bowes unique feature that will ensure accurate postage occurs on all mail when franking with the Connect 500W. Click here to view our range of Connect+ 500W franking labels. View more key details about the Pitney Bowes Connect+ 500W franking machine below. The FP Mailing Qi 2000 franking machine is a heavy duty franking machine that is supplied by FP Mailing, formally known as Francotyp Postalia. They are one of the world’s leading franking machine manufacturers. As a heavy duty machine the Qi 2000 can process mail at incredible speeds of 260 letters per minute and it comes with a range of features. The FP Mailing Qi 2000 franking machine can frank mail onto a range of mail items up to 20mm thick, with larger items being franked via franking labels. This will allow you to access and use all the latest franking prices, saving more money per day with the Qi 2000. By using an integrated weighing scale users of the Qi 2000 franking machine can ensure accurate payments are always made. A choice of scales are available with the Qi 2000. Also benefit from expanding your business name by franking a company logo or slogan onto all outgoing mail pieces. 9 are available with the Qi 2000 franking machine. As well as this, the Qi 2000 postage machine comes with the latest franking technologies. Mailmark and Smart Meter technology are both a standard feature with the Qi 2000. Mailmark gives FP Mailing Qi 2000 users access to much lower franking prices and it offers a new way of franking. Smart Meter gives Qi 2000 franking machine users access to all VAT applicable services and the ability to frank mail in smart blue ink. View more key details about the FP Mailing Qi 2000 franking machine below. The Frama Matrix F62 franking machine is a mid volume franking machine that is manufactured and supplied by Frama, one of the world’s leading franking machine manufacturers. As a mid volume postage machine the Matrix F62 can process mail at slightly faster speeds of 95 letters per minute and it comes with more advanced features and benefits. 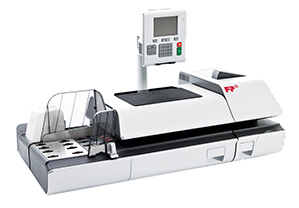 The Frama Matrix F62 franking machine can frank mail onto all mail items up to 10mm thick. Any items that are thicker can still be franked, but with Matrix F62 franking machine labels. This will allow users to access and use all franking prices, saving more money per day with the Matrix F62. Use an integrated weighing scale to ensure you always pay accurate postage. A range of options are available for this. To further benefit the business, a company logo can be franked and applied to all outgoing post if and when required. As well as this, the Matrix F62 franking machine comes with the latest franking technologies as standard. Mailmark and Smart Meter technologies are both a standard feature with the Matrix F62. Mailmark gives Matrix F62 users access to further franking discounts and it offers a new way of franking mail with a 2D barcode impression. Smart Meter gives Matrix F62 users access to all VAT applicable services and the ability to frank mail in improved smart blue ink. Click here to view our range of Matrix F62 franking labels. View more key details about the Frama Matrix F62 franking machine below. The Neopost IS350c franking machine is a low volume franking machine that is manufactured and supplied by Neopost, one of Europe’s leading franking machine manufacturers. It is a replacement model to the non-Mailmark IS330 & IS350 machines. As a low volume franking machine the IS350c can process mail at slower franking speeds reaching up to 40 letters per minute. 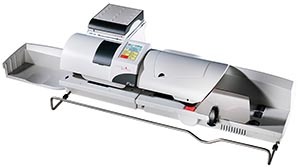 The Neopost IS350c franking machine can frank mail onto any mail item up to 9mm thick. Any items that are thicker can still be franked, but with Neopost IS350c franking machine labels. This will allow users to benefit from and use all Mailmark franking prices, saving more money per day with the IS350c. Up to 10 advertisements can be stored on the IS350c franking machine and these can be used to expand the business name. As many as 9 commonly used jobs can be stored as well as up to 100 departmental accounts. All of these features can be accessed via the IS350c’s one touch buttons and easy to use display screen. As well as this, the Neopost IS350c franking machine comes with the latest franking technologies. Mailmark and Smart Meter technology are both a standard feature with the IS350c. Mailmark gives IS350c users access to much lower franking prices and it offers a new 2D barcode when franking. Smart Meter however gives IS350c users access to all VAT applicable services and whilst using improved smart blue franking ink when franking. Click here to view our range of IS350c franking labels. View more key details about the Neopost IS350c franking machine below. The Pitney Bowes DM110i franking machine is one of their low volume franking machines that is manufactured and supplied by Pitney Bowes, a world leading franking machine manufacturer. As a low volume franking machine, the DM110i can process mail at slower speeds of 25 letters per minute and it comes with a range of useful features and benefits. 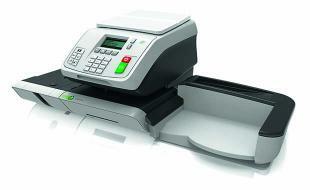 The Pitney Bowes DM110i franking machine can frank onto a range of mail pieces up to 9.5mm thick. Any items that are thicker can still be franked, but DM110i franking machine labels are required. This will allow users to access and use all franking prices, saving more money per day with the DM110i. Help expand your business name via the use of advertisements that can be stored on the DM110i franking machine. As many as 10 are allowed and this will give your business a more professional image. An integrated weighing scale is also available and this will aid any DM110i user with applying the correct postage price. As well as this, the DM110i postage machine comes with the latest franking technologies as standard. Mailmark and Smart Meter technology are both a standard feature with the DM110i. Mailmark gives DM110i users access to lower franking prices and a new 2D barcode impression when franking mail. Smart Meter gives DM110i users access to all VAT applicable services and the ability to regain any paid VAT. Click here to view our range of DM110i franking labels. 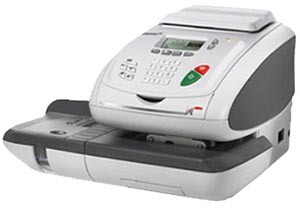 View more key details about the Pitney Bowes DM110i franking machine below. Mailcoms are the UK's most loved franking machine supplier for 3 years running. Mailmark has been announced by the Royal Mail and has brought further franking savings. You will be required to use a Mailmark franking machine in order to ensure savings with Mailmark. A wide range of franking machines available from the UK's No.1 franking machine supplier. Get franking machine labels for a guaranteed lowest price in the UK.